Now available at Miller Cosmetic Surgery, CoolSculpting® is an exciting fat removal treatment that has the ability to contour the body without surgery or significant downtime. This cutting-edge body sculpting procedure is often considered an alternative to liposuction for patients who wish to remove pockets of stubborn fat around the body, but cannot—or do not want to—undergo the invasiveness or recovery time of surgery. Thanks to the effectiveness and general ease of treatment, CoolSculpting® is favored worldwide by practitioners and patients alike and generally maintains a 90 percent satisfaction rate. Board-certified plastic surgeon Scott Miller, MD offers CoolSculpting® at his practice, giving patients in and around San Diego area the opportunity to smooth bulges in the abdomen, arms, thighs, flanks, and many other regions prone to excess fat buildup. CoolSculpting® uses a technology called Cryolipolysis™ to remove fatty tissue, which works to “freeze” fat cells through a controlled cooling procedure. 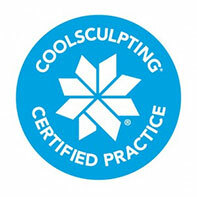 During CoolSculpting® treatment, cold temperatures are delivered to pockets of unwanted fat via a handheld applicator. The intense cold works to crystallize fat cells while leaving surrounding tissue unharmed, eventually causing the body to gradually eliminate the targeted fatty deposits through normal metabolic processes. CoolSculpting® generally yields as much as a 20 to 30 percent reduction of fat in the treated area, making it possible for you to slim and contour the body without needles, surgery, or recovery time. Since Cryolipolysis™ is a technique designed to shed fat gradually over a period of weeks, CoolSculpting® also has the advantage of yielding results that often appear to have been achieved naturally. If you are at or near your ideal weight and simply wish to remove select pockets of fat around the body, CoolSculpting® can be a highly effective procedure to contour your figure. Heather Cauvel, our registered nurse and certified CoolSculpting® specialist, will conduct a thorough evaluation of your medical history before performing treatment to determine whether CoolSculpting® is the best technique to achieve your desired look. CoolSculpting® differs from liposuction in many ways— namely, in the non-surgical method of treatment and the nature of the results achieved. CoolSculpting® does not require anesthesia, incisions, or downtime after treatment, allowing patients to immediately resume their normal routines after their CoolSculpting® session. With that said, there are certain areas of the body that may be better treated with liposuction rather than CoolSculpting®. If a large amount of fat reduction is desired, liposuction can be a more effective method of body contouring, as the surgery can remove up to 80 percent of fat in a given area when compared to the 20 to 30 percent usually achieved with CoolSculpting®. Moreover, results from CoolSculpting® generally appear within the months following treatment; therefore, if you would like to see immediate results, or if you wish to treat multiple areas at once, liposuction may be better suited for your needs. After the completion of your treatment plan, results from CoolSculpting® should be visible within two to four months. The most dramatic results are typically seen at the two-month mark, with the outcome often improving as the body continues to rid the treated area(s) of fatty tissue. Due to the fact that new fat cells cannot “regrow” once they die, CoolSculpting® results are designed to be extremely long-lasting. As long as you maintain a healthy lifestyle and a stable weight, you should be able to enjoy your new contours for years, and even decades, to come. The cost of CoolSculpting® depends on many factors, including the number of areas treated, the number of sessions in your treatment plan, and the size of the targeted regions. As CoolSculpting® does not require anesthesia, a surgical facility, or post-operative care, this treatment is typically much more economical than other methods of body contouring. After your concerns are assessed, our patient care coordinator will be happy to provide you with a personalized quote based on the details of your treatment plan. To help make the price of CoolSculpting® more affordable, Miller Cosmetic Surgery accepts plastic surgery financing through CareCredit®. This leading healthcare lending institution is utilized worldwide and offers qualified patients the ability to pay for their CoolSculpting® expenses through a series of low monthly installments. Many of the payment plans offered include low- to no- interest options, easily allowing approved candidates to select the most ideal arrangement for their needs. If you would like to learn more about the cost of CoolSculpting®, please don’t hesitate to call our practice to speak with a member of our team. Questions? Learn more about CoolSculpting® and the range of other body contouring treatments available at Miller Cosmetic Surgery by contacting our practice today.